Today's map comes from Business Insider. Using information from the social app BARTRENDr, they were able to determine every state's favorite brand of liquor. Over 700,000 users' data was analyzed and applied to the map. 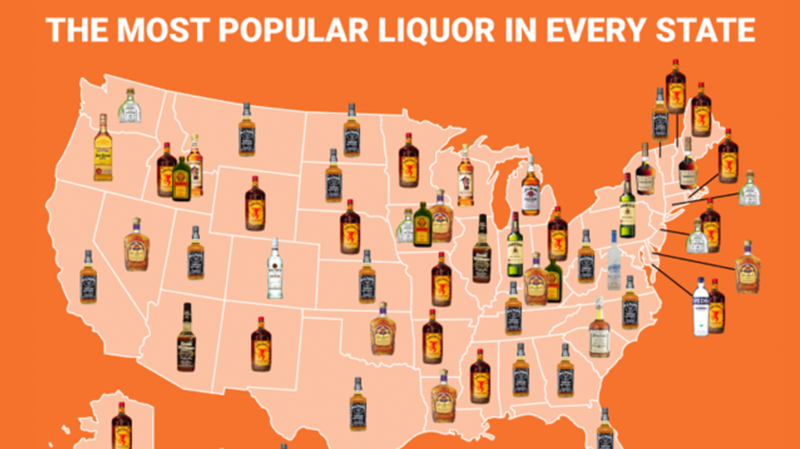 From just a glance, you can see most of the country has a deep love for whiskey. Surprisingly, Arizona seems to like Evan Williams even more than Kentucky.